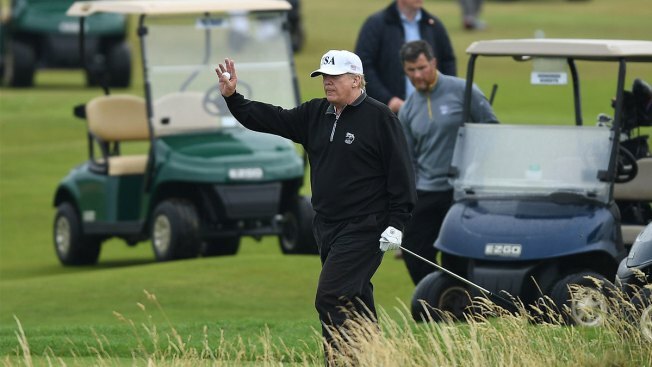 President Donald Trump waves during a round of golf at Trump Turnberry Luxury Collection Resort on July 15, 2018 in Turnberry, Scotland. President Donald Trump has had a room-sized golf simulator installed in the White House, several sources confirmed to NBC News. It cost $50,000, according to the Washington Post, which cited two people who told the paper about the system. The installation of state-of-the-art simulator — which allows the president to play virtual rounds of golf — was first reported by the Post.